Popular spring activities include ropeways, snowshoeing, waterfalls, camping, fishing and hot springs. There are excellent hotels and specialized tour operators in key areas as well. Top places to visit include Tokachidake Onsen Resort, Asahidake Onsen Resort, Sounkyo Gorge and Shikaribetsu Lake. We highly recommend making Daisetsuzan National Park a part of your Custom-Made Tour! ​Daisetsuzan offers some of the greatest hiking & trekking possibilities on Hokkaido for all levels of hikers. Whether you're interested in a few hours easy hiking course or a multi-day trek, we offer exceptional guiding service and an intimate knowledge of the mountains. Hiking at Daisetsuzan National Park can include ropeways, waterfalls, wild hot springs, fumaroles, ascents, descents or flat walks, peaks, rivers, marshes and primary forests. Whatever your preferences, contact us to build an awesome hiking & trekking tour at Daisetsuzan, or to include a shorter visit on a wider Hokkaido tour. Check-out our Spring Hiking & Trekking page for a full listing. The two main resorts at Daisetsuzan National Park - Asahidake Resort and Kurodake Resort - both have ropeways that carry visitors midway up the rugged mountain range for beautiful nature and spectacular views. The Asahidake Ropeway brings passengers to the Sugatami Plateau, which is a flat walking area with trails that meander between ponds, fumaroles and high-mountain flora. There is also access to the trialhead of Mt. Asahidake, Hokkaido's tallest mountain. The Kurodake Ropeway is based at Sounkyo Gorge, and views of the towering gorge and plains beyond are breathtaking. 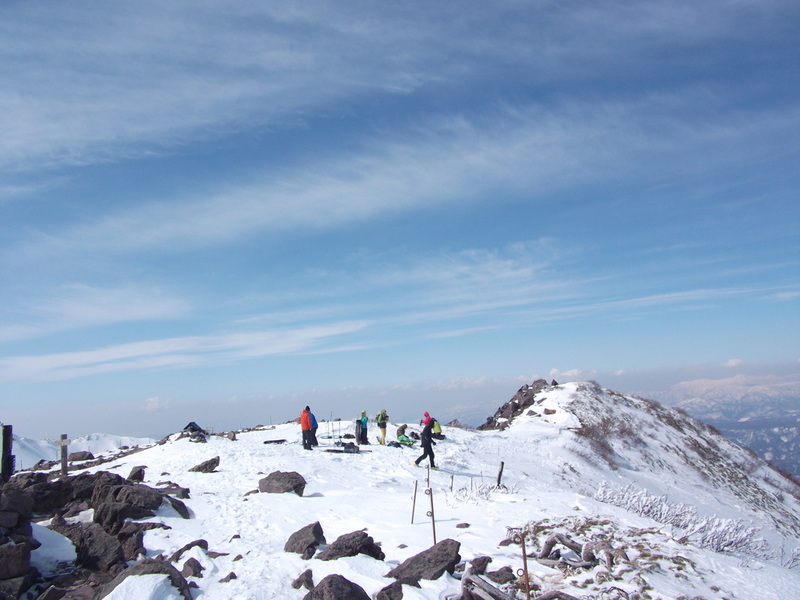 Hikers and trekkers can access the Kurodake trailhead from the ropeway's terminus. There are three great hot springs locations in Daisetsuzan National Park: Asahidake Resort, Sounkyo Gorge & Tokachidake Resort. There are also a few smaller hot springs areas such as at Tenninkyo, Shikaribetsu and Shirogane. With the variety of baths and spring types on offer, a hot springs visit is a must for trips to Daisetsuzan. There are also a number of "wild" hot springs scattered around the park that are just as wonderful to visit. You can take a foot bath or jump right in, but be aware that these "wild" onsen are mixed-bathing, have little to no infrastructure, and are open to all. With the massive size of Daisetsuzan National Park, it comes as no surprise that there are many large and small waterfalls to be explored. The densest cluster of falls are at Sounkyo Gorge's 8 Waterfalls Trail, where a 3 kilometer walking trail skirts the deepest part of the gorge in spectacular fashion. Asahidake Resort also has a number of small falls within easy hiking distance to the bottom of the ropeway. Further south, the Shirahige Falls, whose waters spill into the blue Biei River, are a local favorite. Unfortunately, the highest waterfall in Hokkaido and one of the most beautiful, the so-called Angel's Robes Falls in Tenninkyo Gorge, is now inaccessible due to a recent landslide. We are awaiting construction of a new access trail to the falls. Spring arrives slowly at Daisetsuzan National Park, offering ample opportunities for great snowshoeing to the highest peaks in the park. As temperatures warm and the hard snow begins to soften, snowshoe hikes that are mountaineering challenges in mid-winter become safer and more accessible in spring. Giants like Mt. Asahidake, Mt. Kurodake and Mt. 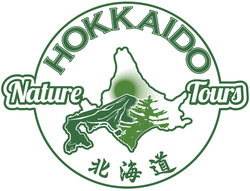 Tokachidake offer great challenges and rewards for the willing snowshoe hiker. An exhilarating traverse from the Asahidake Ropeway to the Kurodake Ropeway is also possible for those fit enough for the 10-hour one-day hike. Contact us for more details on snowshoeing at Daisetsuzan National Park. For backcountry skiers & snowboarders, please visit our Resort and Backcountry Spring Skiing & Snowboarding page.